Providing you the best range of economic blue paperless recorder, 2 & 4 channel mini blue paperless recorder, 6 channel agcolour paperless recorder and blue paperless recorder with effective & timely delivery. Backed by skilled and experienced engineering expertise, we are engaged in offering a wide collection of Economic Blue Paperless Recorder to our valued clients. 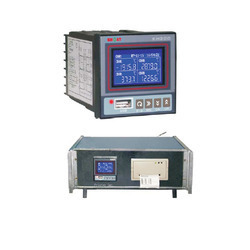 Manufactured using the best quality components, these products are highly demanded in the market. Moreover, in this offered recorders history data can be kept by flash memory. Backed by our deep knowledge of this domain, we are involved in offering a wide range of 2 And 4 Channel Mini Blue Paperless Recorder in the market. These products are manufactured from the best quality material. Additionally, these are used in petroleum, metallurgy, food, medical, environment protection, storage, heat dealing, and electrical motor. We are one of the trustworthy names for presenting a wide gamut of 6 Channel Agcolour Paperless Recorder to our esteemed customers. 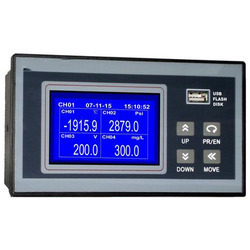 The offered product is a 6 channel recorder that displays data on a bright 5.7" STN Color LCD. 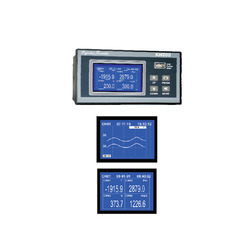 It offers a wide variety of display modes that allow users to view data in the form of trends (Horizontal & Vertical), bar graphs, totalized display, analog meters, digital display, event occurrence and more. Backed with rich industrial experience and knowledge, we have been engaged in offering Blue Paperless Recorder to our esteemed customers. Under the strict supervision of our diligent professionals, this recorder is manufactured using superior quality components and is available to our client across the nation at economical price. Output Module Relay alarm output (Max. 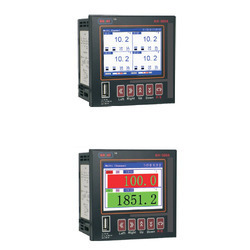 8 output) RS485, RS232 Communication port 5VDC, 12VDC, 24VDC aux. Hardware clock built in for still accuracy running.